4pm 7.5miles in 1hr 1min and 5 secs. A repeat of yesterdays run along the old Keswick to Threlkeld railway line. This really is a great walk or cycle ride for anyone visiting the area. It is pretty much all on the flat which is unusual for this area. You cross over and under many bridges. With the recent heavy rain the River Greta was in full flow. The only disappointment is when you reach Threlkeld and find your way is blocked by the very busy A66. 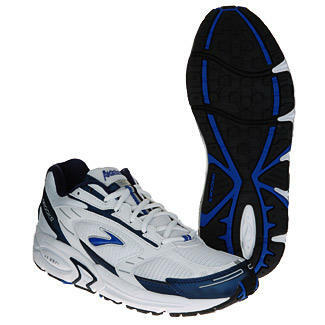 I currently prefer the Brooks Addiction range of shoes. 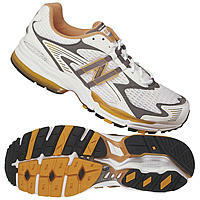 I have the Brooks Addiction 6 model which seem to be extra tough on the outer sole. I have high arches and seem to over pronate leading to wear on the outersoles. However the Brooks shoes seem to last longer before the outersole is worn so they suit me well even they feel a little heavy. However I always used to swear by New Balance so when I chanced upon a New Balance factory shop in Keswick I bought a pair of 1060’s . I wore these on the run today and they seem a lot lighter though I am not sure if they will cope with my over pronation, only time will tell. I have spent most of my vacation walking in the fells rather than running. Keswick is a perfect base for exploring the Northern Fells. If you are based in Keswick you can walk up to many fells without needing to use a car. Overlooking Keswick are Latrigg (1203 feet) and Skiddaw at (3054 feet) . If you take a short boat ride on Derwentwater you can then climb up the very popular Cat bells ( 1482 feet) Maiden Moor (1837 feet) and High Spy ( 2143 feet). A short drive to Braithwaite enables you to to undertake a lovely ridge walk climbing up Grisedale Pike and circling around over Eel Crag (2749 feet). On 2 or 3 occasions I saw a different breed of runner out on the fells , the kind of runner that you look at in awe and wonder just how they have the nerve and strength to run up and down the side of mountains. If you lived up in the lake District and had a love for the hills then it would be natural to want to run over the fells.